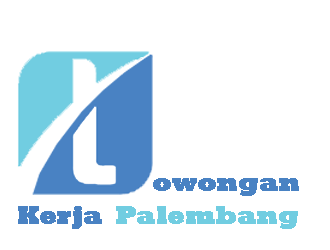 PT Indonesia Comnets Plus (ICON +) focuses on providing network, services, and telecommunications content, specifically to support the technology and information systems to PT PLN (Persero) and the public. Therefore, the Company held a variety of superior services such as Clear Channel, Multi Protocol Label Switching (MPLS), broadband Internet access, Voice over Internet Protocol (VoIP), and banking applications. Develop and enhance existing system and infrastructure to enhance the quality of business plan. Recommended process improvement for corporate planning. Based on the request from related department, providing project management assistance to the department. Provide recommendation for the corporate planning based on potential opportunities or changes in the industry/ regulation. Monitor actual performance against plan and provide recommendation to enhance performance. Collect, compile, and analyze data from various sources, and perform statistical, report analysis, and prepare draft and standard ad-hoc report. Assisting in ensuring the project deadline and schedules are met. Work with various departments to ensure implementation plan are done. Candidat must possess at least Bachelor’s Degree from any field (prefer from IT, Economics/Management/Business). Required skill(s): Financial analysis, IT Development Plan, Communication Skills, Statistics. At least 10 year(s) of working experience in the related field is required for this position, preferably Manager/ Assistant Managers specializing in Corporate Evaluation and Business Process or equivalent. Develops a business plan and sales strategy for the market that ensures attainment of company sales goals and profitability in goverment sector. Responsible for the performance and development of the sales team. Prepares action plan by individuals as well as by team for effective search of sales leads and prospects. Conducts one-on-one review with all sales team to buid more effective communications, to understand training and development needs, and to provide insight for the improvement of account sales and activity performance. Assists the sales team in preparation of proposals and presentations. Required skill(s): Sales and Channel Management, Presentation, Communication, Target Oriented, Negotiation Skills, Customer Service Orientation, Supervisory Skills. At least 7 year(s) of working experience in the related field is required for this position, preferably Manager / Assistant Managers specializing in Sales – Engineering/Technical/IT or equivalent.